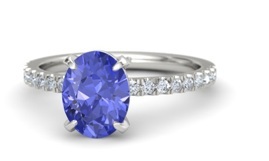 Oval tanzanite ring settings may be the most loved of all the styles, but just because you choose an oval tanzanite doesn’t mean that your ring options are limited, in fact here are the ten most beautiful oval tanzanite rings of all time! 1. 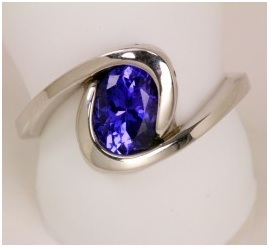 A simple oval tanzanite design with the center stone of 1.62 carats. 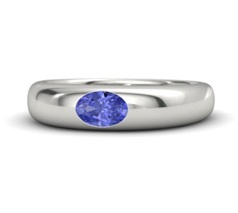 The band is simple platinum with no extra metal embellishment.The tanzanite is flanked by two ideal cut diamonds – all three fastened in a bezel setting. 2. A simple yet elegant setting, this twisted metal band style is popular among-st people who wish to break out of the old fashioned designs and try ones with a touch of modernity. 3. 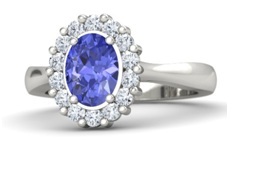 Having taken inspiration from the ring worn by Princess Diana, this four pronged setting of a 1.2 carat tanzanite encircled by a halo of round cut diamonds has to its name classic elegance. 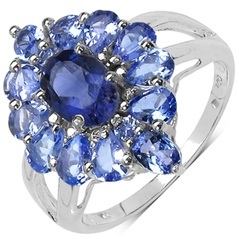 Of all the oval tanzanite rings with diamonds, this halo setting is a timeless example – using the glory of the clear grey diamonds to accent the blue. 4. 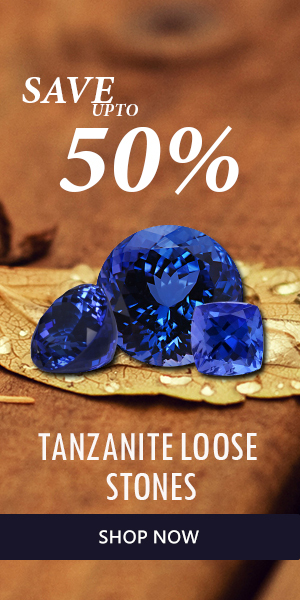 In this micro-paved setting, the oval tanzanite is not encircled by the diamonds, instead the metal band is half-paved with small round cut diamonds to give a delicate yet glamorous look. 5. 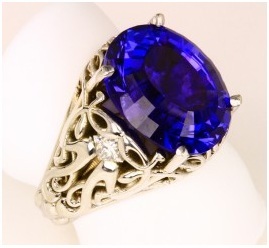 Oval tanzanite designs with the central solitaire are not only set with diamonds, but with other colored gems as well. 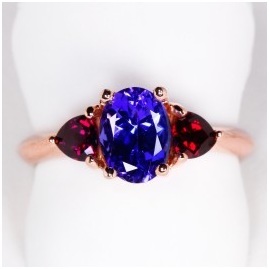 This is unique design is a combination of a central oval tanzanite with trillion cut chrome garnets on either side, set in the beautiful tinted rose gold. The meeting of such bold colors is complemented by the metal itself. 6. 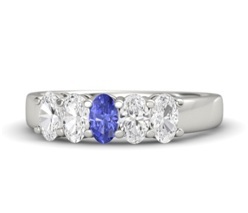 Here come the art deco settings, a simple but large – 11 carat – tanzanite set in an elaborately carved metal band, further accentuated by two small princess cut diamonds. The metal is 14 carat gold, the yellow dulled out while still subtly tinted. 7. The glamour and extravagance is limitless – here the simple haloed solitaire has been transformed! 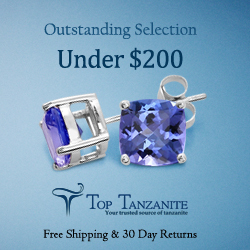 An oblong ring of drop shaped iolites edge the tanzanite, a gentler blue highlighting the deep cobalt in the center. 8. The eternity bands too have gained immense popularity – both as wedding rings and otherwise. 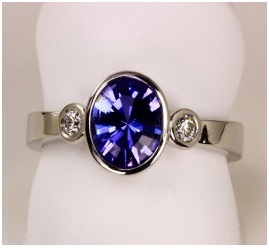 Here we see a 0.23 carat oval tanzanite with clear side stones of white sapphire. Set in palladium, this ring is a bridge between the simple solitaire setting and the paved eternity band.